Do We Work Well Together? Each of the following questions is derived from characteristics of high-performing executive teams that we have worked with over the past ten years. 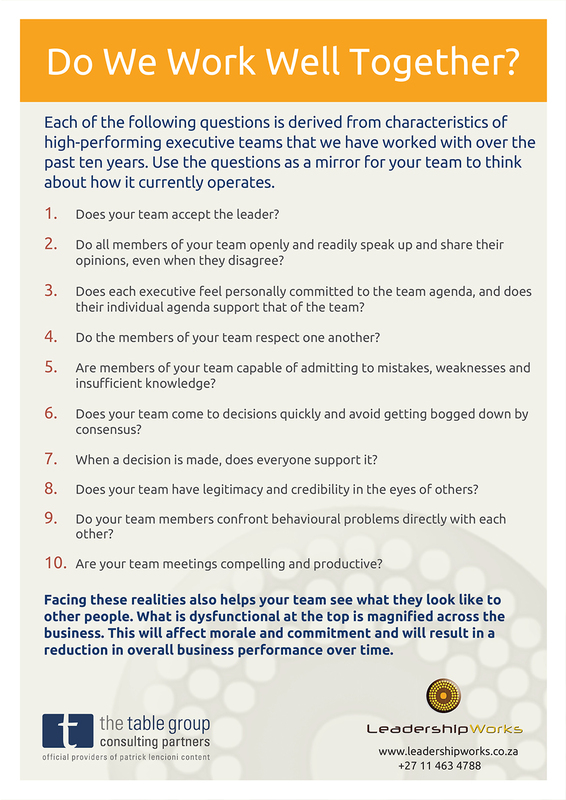 Use the questions as a mirror for your team to think about how it currently operates.